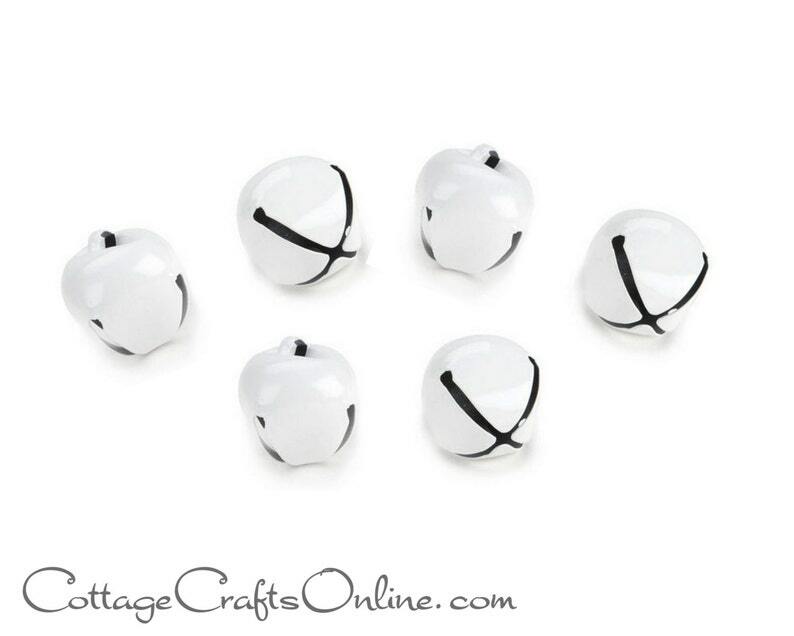 White metal jingle bells, 1 1/2" (3.81cm) from well-known craft supply company, Darice. This listing is for a lot of 6 bells. RETURN POLICY: Please choose carefully as seasonal merchandise, including this item, is not returnable. THANK YOU for viewing our item! Visit our store for over 1700 ribbons and craft supplies: http://www.etsy.com/shop/cottagecraftsonline.